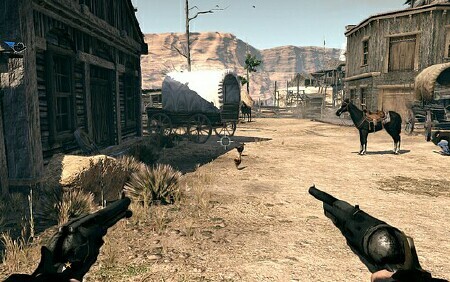 Western based games have had a relatively popular history. For me the genre was at its’ peak with Red Dead Revolver on the Playstation 2. Later Call of Juarez was released for the Xbox 360 and gamers found that while the first person action shooter was fun it wasn’t an overall satisfying gaming experience. 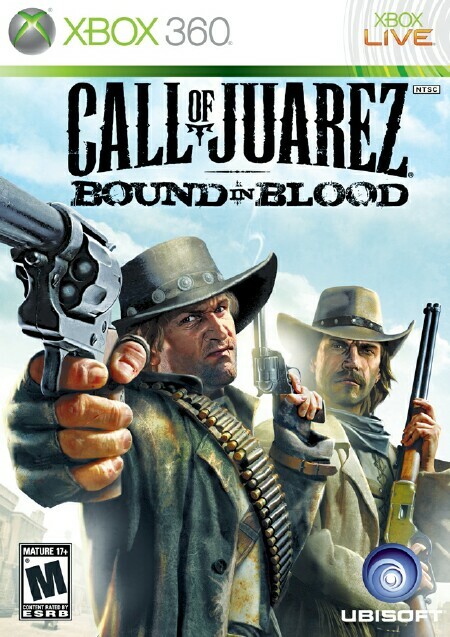 When this next installment, Call of Juarez: Bound in Blood was released, this reviewer had his doubts. Did the game immerse the gamer in the rough western terrain? Or deliver a bomb that would make gamers everywhere wish they had GameFly. Well I am happy to say that I was pleasantly surprised with this title; let’s begin with the story. 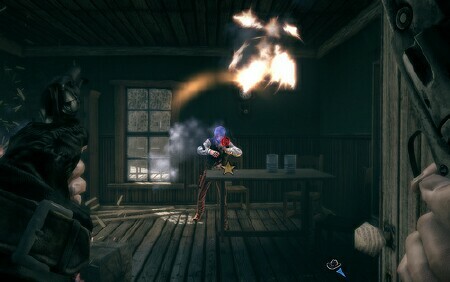 The story acts as a prequel to the events from the first Call of Juarez which gives the game the freedom to be independent from the first title. The game has two title characters for the gamer to play as. Ray McCall, whom we all know as the preacher from the first game, and Thomas McCall two brothers who at the tail end of the Civil War find themselves, as well as their other brother William. without a home and on the run from the law. This is where the story takes off; the three brothers find themselves in Mexico due to Ray and Thomas’ indiscretions in the Northern half of America. They are trying to find a way to rebuild their lives after the death of their mother and the loss of their family farm, however along the way they discover the legend of an Aztec treasure called the Gold of Juarez that they believe they can use for rebuilding their home. Nothing is easy as Ray and Thomas will do whatever is necessary to get to this treasure. However greed, women, and murder will test their bond as brothers. The story is very rich with fascinating characters and intense cinematic moments that manage to keep the player immersed from beginning to end. Second, the overall presentation of the game. 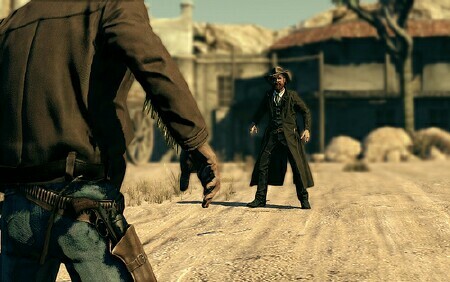 Graphically the game is perfect; the developers managed to make the environments and character models very interesting to look at as to make the player feel as though they are watching a real western movie. However, the great graphics and models are somewhat overshadowed by the less than stellar voice work. While some of the voices fit their characters, more often than not the voices seem out of place. This makes this reviewer wonder if the voice actors really took the time to develop these characters or if they just went did the voice their way, took the paycheck and left. This isn’t enough to bring the game down however for the game play really delivers in this title. The game play circles around a first person shooter camera angle, however; this isn’t your average first person shooter. From beginning to end the player has the choice to play each individual chapter as Ray or Thomas, now while one might think that even though you’re playing as a different character the game play is the same but here the developers made sure that both Ray and Thomas play as two completely different people. Ray is the strong one, he can break down doors as well as carry a mobile gattling gun. Ray can also wield to different pistols, use both pistols at the same time, or use a rifle/shotgun. Another perk to using Ray is you get to use dynamite to taking out a large group of enemies. Thomas is very different from Ray because Thomas is more agile and there are moments that require Thomas to help Ray climb up a wall. He is also equipped with a lasso that he can use to reach high places and aid Ray from a high point or aid with certain mission objectives. The weapons Thomas uses are throwing knives and a bow and arrow both of which can be used for a silent kill at close and long range. But don’t worry if real fire power is more your style Thomas can wield individual pistols as well as a rifle/shotgun. Using one brother or the other changes the story in minor ways because there are moments where each brother gets different objectives to complete so this adds to the replayability of the game. The intense gun battles are really adrenaline pumping but nothing gets your thumbs working faster than when you reach a duel moment. The player faces their opponent with the camera focuses on your hand and weapon; the key to winning is when your opponent steps one way you move in the opposite direction to keep them in your sites and when the bell tolls, reach for you pistol and take your shot. Now while this is fun it can get frustrating because you have the freedom to maneuver your hand over the pistol but you cannot grab it until the bell and if you’re not careful you may accidently grab the gun too soon and the AI makes a sort of “No No” motion with your hand thus preventing you from moving your hand for a awhile. I can’t tell you how many times I lost a duel because of this however; this minor annoyance still is not enough to bring the overall game down. There is one area of the game that does effect the overall enjoyment of the game and that is the lack of co-op mode. It just doesn’t makes sense to me because throughout the whole game Ray and Thomas are doing mission together this just screams co-op but for whatever reason the developers chose to omit co-op. However, there are multiple multiplayer modes that to me felt like the Wild West equivalent of Call of Duty. 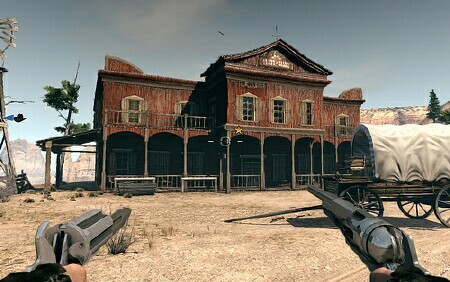 There is Wild West Legends which is like search and destroy mode in Call of Duty. 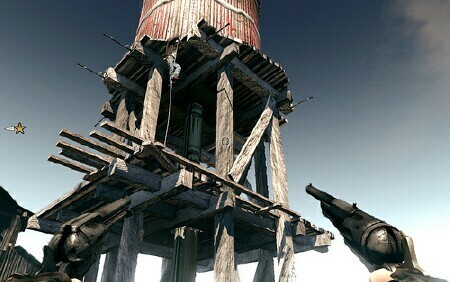 Manhunt which is team based game where one man on one of the teams, which are called the Lawmen and the Outlaws, is designated as “Wanted” one team must protect the wanted man and the other team must kill him. Points are awarded if the wanted man is successfully protected for a set amount of time. Wanted mode is just like Manhunt except no teams, it’s every man for himself. Shootout which reminded me of free-for-all in Call of Duty and finally Posse which is like team death match. As you complete each of these modes the player is awarded money for the kills they made and that money can be used to unlock other characters and unlock upgraded weapons, however, this earning process is relatively slow so players will find themselves playing this online for quite a awhile if they wish to completely unlock everything. In conclusion, even with minor annoyances in game play and presentation and the lack of co-op the game is still a very satisfying experience that I can promise that gamers of all sorts will enjoy. So my final rating 4.7 stars out of 5 which means that if haven’t picked up this title by now you should get out there and buy it. Hope to see some of you online!